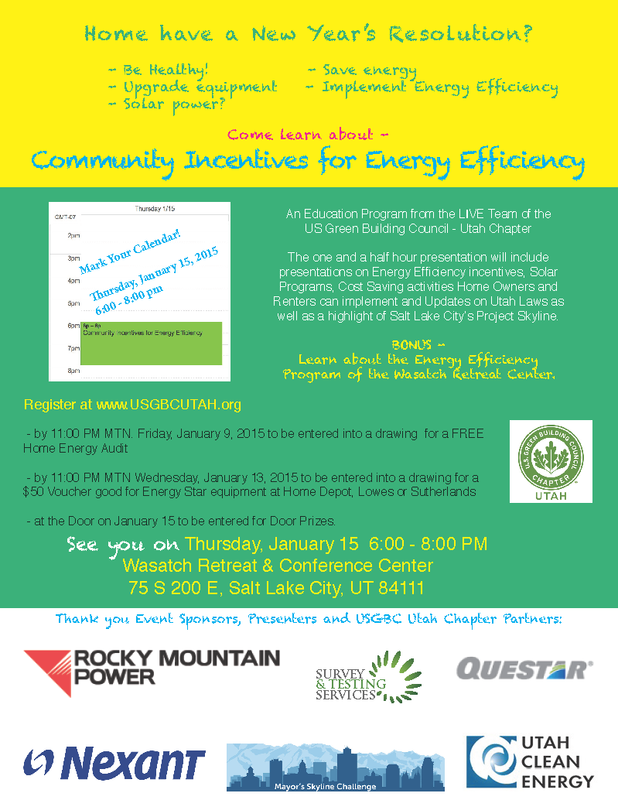 Our friends at the USGBC Utah are hosting a Community Incentives for Energy Efficiency event on Thursday, January 15, 2015 from 6:00 – 8:00 p.m. And you’re invited! The one and a half hour presentation will include presentations on energy efficiency incentives, solar programs, cost saving activities home owners and renters can implement, and updates on Utah laws. The presentation will also include a highlight of Salt Lake City’s Project Skyline. Community Incentives for Energy Efficiency is an education program from the LIVE Team of the US Green Building Council – Utah Chapter.